Check your Valpak for CVS food saving coupons! I love getting the mail. It is so much fun to go to the mailbox and find something that you have been waiting for. It is also fun to get surprises in the mail too. Today, I got our tax refund check (yippee), my $35 VISA debt card from a Rite Aid deal, and some freebie samples from Walmart. 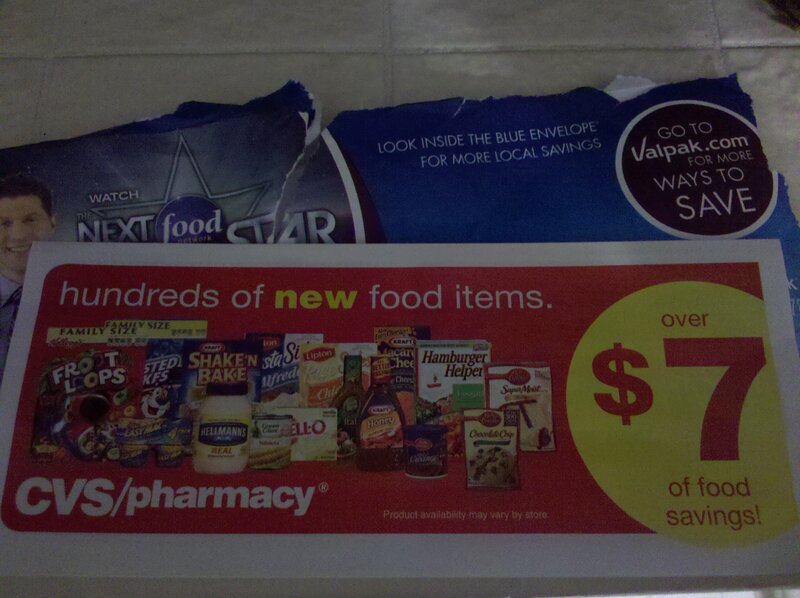 I happened to look through my Valpak of coupons. I don’t always go through them. This time I was thinking to myself, wouldn’t it be nice if there were some CVS coupons and sure enough the last flyer I picked up was a CVS booklet of food savings! Even though the coupons are low value they can be combined with manufacture coupons and sales to make a great deal. Check your Valpak!